Veteran referee Mike Riley described it as one of the five best matches he has ever called. In game one, Elias raced through seven of the last eight points to win, 11-5. Abouelghar came out aggressively in the second game. He took a 7-2 lead and won 11-6, then dominated game three for an 11-3 triumph. Elias recovered the win the fourth, 11-4, setting up a dramatic finish. Tournament organisers praised the champion’s resilience and also recognised Elias as an up-and-comer to watch. Abouelghar and Elias both said they plan to return to the MCO next season. 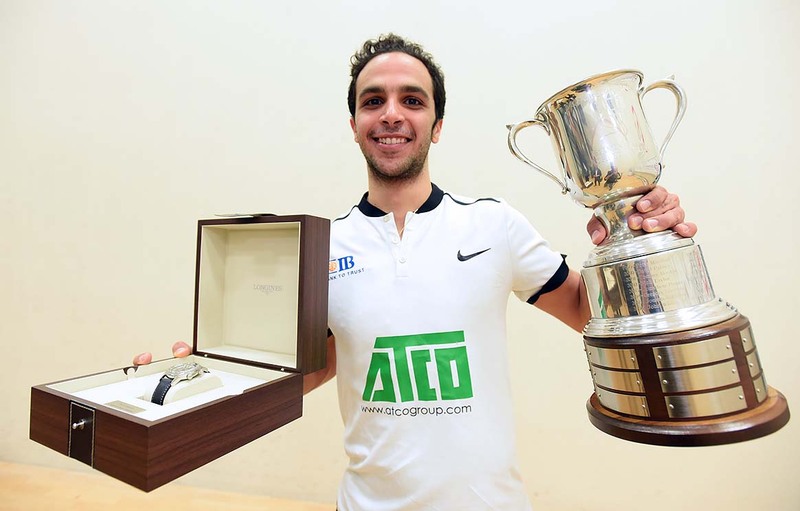 On the road to the title, Abouelghar knocked off top-ranked American Todd Harrity in four games, beat Englishman Adrian Waller in five games, and then topped friend and countryman Zahed Salem in four. Meanwhile, Elias’ first two opponents of the week retired early before sweeping top-seeded Marwan El Shorbagy of Egypt in 30 minutes in Friday’s semifinal. The MCO is the second-longest running pro squash tourney in the US. In addition to his take of the $75,000 total purse, Abouelghar took home a Longines watch from Greenstone’s Jewelers. Elias also won a watch from Greenstone’s. Fund-raising in conjunction with the MCO created revenue for Racquet Up Detroit, a youth development program that combines squash, mentoring and community service. Tournament organisers presented Racquet Up Detroit with a check for $20,000 during the post-match ceremony. 2019 Motor City Open presented by the Suburban Collection, Birmingham Athletic Club, Springfield Hills, Detroit, USA. (3) Mohamed Abouelghar (Egypt) beat (4) Diego Elias (Peru), 5-11, 11-6, 11-3, 4-11, 11-8. Report by MATT SCHOCH. Edited by ALAN THATCHER.